This book provides an interdisciplinary approach to power, inclusion/exclusion and hierarchy in a Turkish border town, with a focus on the impact of nation-state border on social stratification and change. Through the lens of ethnographic research and oral history, the book explores social mobility among various strata within the context of transition from Ottoman rule to the Republican regime, in order to reveal culturally informed strategies of border dwellers in coming to grips with new border contexts. 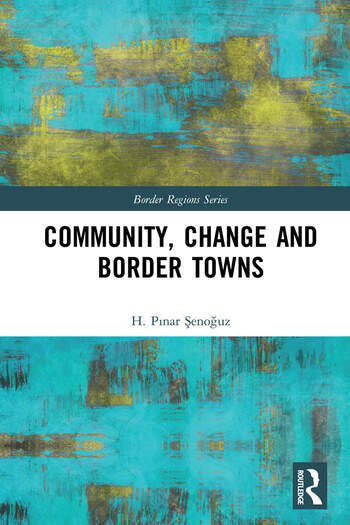 It is suggested that the border perspective will move the social analysis beyond "methodological territorialism" and provide a theoretical framework that explores social change at the intersection of local, national and transnational processes. This book will appeal to readers interested in borders and circulations, social structure and power relations in border regions, as well as transnational shadow networks in the Turkish/Middle Eastern context. The book is a valuable resource for students and scholars of border anthropology, political and economic geography, studies of globalization and transnationalism, anthropology of illegality and Turkish and Middle Eastern studies. It will be a useful grounding for humanitarian professionals who are learning about the social and economic landscape of border towns. H. Pinar Senoguz is currently a post-doctoral fellow at the University of Göttingen in Germany. Until she was dismissed by the emergency decree in 2016, she taught sociology in a public university in Gaziantep city on the Turkish border with Syria. Among her published and forthcoming articles, she explores shadow markets and illegality, post-migration conflicts and refugee hospitality in the southeastern border regions of Turkey. Her research interests include the anthropology of borderland and illegality, border politics and refugee reception policies in EU and Middle Eastern countries, and power and in/exclusion in the Middle East.